Boston.—The Israelites of this place have formed a literary association, under the name of “The Hebrew Literary Society of Boston,” of which Mr. William Goldsmith is president. The congregation is called “Ohabei Shalom” (Lovers of Peace), and the officers for this year are Moses Ehrlich, President, Bernhard Heineman, Vice President and Treasurer, Henry Selling, hon. Secretary, and the Rev. B. Wormser, Minister. It is with sincere gratification that we are able to announce for the first time official information concerning the brethren of Boston, and we hope to hear many good things from them for many years to come. New Orleans.—The Portuguese congregation of this place held their first annual meeting on the 13th of December, and elected the following officers: Jacob L. Levy, President; A. C. Labatt, Vice President; Joseph De Pass, senior Trustee; A. T. Ezekiel, junior Trustee; Isaac Rodriguez, Treasurer, and Jacob Ezekiel, Secretary. Jewish Liberality. —We have received a letter from Münster, in Westphalia, in which it is stated that the Jewish Union School of that place had been endowed with a fund of 25,000 Prussian dollars, by Mr. Marx of Hamm, in the district of Arensberg, Westphalia, and that the benevolent donor yet lives to see the fruits of his true liberality. The school in question was established about twenty years ago, by the active exertions of a highly learned professor of medicine, Dr. Alexander Haindorf, the son-in-law of the above Mr. Marx. The school is presided over by our truly esteemed friend and teacher, Rabbi B. S. Cohen, under the supervision of the chief Rabbi of Münster and Mark, Rabbi Abraham Sutro; it has sent out many capable teachers and ministers of religion, and aided likewise to give a suitable education to persons devoting themselves to mechanical pursuits, and to provide them with good masters. And now the donation of Mr. Marx will, under Heaven, give permanence to what his worthy relative so well commenced in years gone by; and we hope that many more such as our correspondent, the Rev. J. K. Gutheim, may issue thence, to scatter the light that is within them in their native land and also in foreign climes. When shall we have a similar school in America? and who of our rich men will imitate Mr. Marx’s example? We trust to be able soon to answer both questions satisfactorily.—It would be an imperishable renown to connect a name or names with a seminary which would be blessing to many. Bohemia.—A late number of the Orient informs us that the burdensome and exclusive Jewish taxes are to cease in Bohemia in seven years, commencing with 1847, and that in the mean time a commutation will be permitted to take place at once by paying down the whole amount in advance. This is certainly a gratifying change; but, unfortunately, it is only for one province in Austria, and the restrictions yet remain in others, except perhaps Hungary, where the Jews lately paid an immense amount, we think over two millions of florins, to escape hereafter the distinct taxes as Hebrews. The different proceedings on this topic, as they appeared in the German papers, were too long for us to copy. The exclusive Jew tax in Bohemia, amounting, it is said, to about 50,000 dollars per annum, and originally intended for but ten years, was imposed in 1745, in lieu of the expulsion of the Jews, decreed because they had been falsely accused of entertaining traitorous views against the government, and of having even aided the enemy. The repeal of the tax, therefore, by Emperor Ferdinand, is looked upon with the greater joy, because it in effect declares that the government regards now the ancient accusation as false, and as having been merely a pretext for oppression and exaction. But why continue the odious tax for seven years?—why keep up those grinding exactions in other parts of the empire?—why the ghettos in Moravia and elsewhere? These are questions for the inconsistent government of Austria alone to answer; which, by the by, grants Jews titles of nobility, (there are many Jewish barons in Austria, as Von Lämel, Rothschild, Herz, and Hofmannsthal, Chevaliers Von Neuwall, Liebenberg, and others, whose names we have met with in an account of the Jews of Vienna,) whilst no one of that faith can hold the meanest office, nor be an apothecary, besides being prohibited some other professions. Foreign Jews are not allowed to reside in Vienna; and many, we once saw, are there, natives of other parts of Austria, who dress in the oriental fashion, and remain in the capital, under the protection of the Turkish Ambassador, as Ottoman Jews. All these things seem almost incredible, but they are nevertheless true; this is the romance of modern Jewish history. When will Christians learn to regard us as equals in despotic countries? Jews In The Papal States.—Since the accession of Pius IX. to the papal chair, he has issued, it is said, several regulations improving the condition of Jews in his dominions. Much must be done before their great suffering can even be rendered tolerable; in the mean time, we are glad of any amelioration. 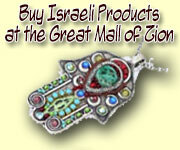 It is also said that Jewish shops are now met with beyond the Ghetto of Rome. Several poetical effusions in honour of the pope have been issued by Jews; 1st, a Poetical Portrait of Pius IX. by Dr. Mose Leone Finzi, in which he speaks in rather grandiloquent terms of his subject: “Dolce in punir, in perdonnar un Dio, questa é la vera immagine di Pio” (mild in punishing, a god in pardoning, this is the true image of Pius); 2d, a Sonnet on the accession of his holiness Pope Pius IX., by L. V. Levy; he, too, speaks with warmth: “Ne stan le lingue d’Israello mute: con giubilo verace e reverente esaltan TUA magnanima virtute” (nor can Israel’s tongues remain dumb; with true and respectful joy they praise thy magnanimity and virtue); 3d, a Sonnet in praise of Pius IX., by Arnoldo Veniziani; he, too, is eloquent in his appreciation of the good qualities of the pontiff. The Orient, from which we copy, hopes that the expectation of the Israelites of Italy may not be deceived. We cordially join in the same prayer. Jewish Loan Institution.—No. 40 of the Orient, just received, contains an account of the formation of a Society in Berlin, for the purpose of loaning out small sums to Israelites who have lived three years in that place, and have been equally long in business of whatever kind, who by timely aid may be able to continue their pursuits, so as not to become sunk into poverty. The money is loaned without interest, but upon good security, and a thirtieth part is to be paid back every week. The fund consists of donations and loans without interest for at least two years. The number of members is 40, who are all donors, and the funds amount to 1100 Prussian dollars, and there is loaned out to 28 persons 1015 dollars. This society was formed on the model of one in Hamburg, which was commenced in 1816, and had, in 1841, 6958 mark banco (about 2300 dollars) worth of property, besides 5238 (1700 dollars) in money. It had loaned out 953,399 marks in 25 years, (say 317,000 dollars) and lost only by doubtful debts 263 marks, less than 100 dollars. This shows not alone good management, but also speaks well for the honesty of the borrowers. We have long since entertained a plan for a similar society in America; but the multitude of calls upon our people has hitherto prevented us from offering it. We communicate this, however, to call public attention to the subject. The Proposed Conference of Jewish Theologians.—In addition to the names already given we see those of the following: G. Adler, Rabbi of Oberdorf in Württemberg; A. Gnzburg, Rabbi of Libochowitz in Bohemia; Dr. C. Heineman, Rabbi of Gothenburg; J. Karo, Rabbi of Lublinitz; Dr. Sammter of Liegnitz; Dr. Heilbuth, Rabbi of Bremervörde, Mr. A. Stein, teacher in Cassel, and Mr. J. A. Bondi of Dresden. Warsaw, October 2d.—Yesterday was the day appointed on which all the Jews of the kingdom under sixty were compelled to lay aside their peculiar costume, and to assume one of the costumes of the country. With the girdle, the caftan, and the sable cap, had also to be removed the beard and the long ringlets, which shaded the countenance of the Jew and which he regarded as venerable, holy, and inviolable; in short, the Jews had to renounce their own true character and to adopt a dress in which they scarcely recognised themselves. It was touching to witness how these people in their new and partly singular costumes met, without recognising one another,—how they timidly and anxiously avoided the frequented streets, and often felt for the beard and ringlets that were no longer in existence! The poverty among a great number of the Jews here is terrible; and such poor people as have hitherto worn almost nothing beneath their tattered caftan, which entirely enveloped their bodies, even such are now suddenly obliged to raise the means for procuring a whole suit of clothes, that costs, at least, five times as much as their former best holiday dress. And then, the poor fathers of families who must procure new costumes for themselves and their household, they are, indeed, in the most terrible distress, and yet the thing must be done, if they wish to avoid the risk of having the Polish dresses torn from their bodies in the open streets. But, besides this, there are many Jews who regard the laving aside of the Polish costume as a matter of conscience, who see in the loss of their beard the downfall of their whole religion, and for such people the struggle is a doubly hard one. For this reason there was also an unusually great animation in the synagogues here on the late Day of Atonement; so terrible was the lamentation that arose thence, that it struck awe even into the heart of the passing stranger. Many Jews retain their peculiar costume by paying the legal tax, as they are permitted to do until 1850; but the tax is so great, that few, we think, will avail themselves of this permission for any length of time.—A. Z. des Judenthums.